Mark your luggage with your favorite character from AMC's hit The Walking Dead TV series! The Walking Dead Daryl Dixon with Crossbow Luggage Tag features the visage of fan-favorite loner and zombie killer, Daryl Dixon. 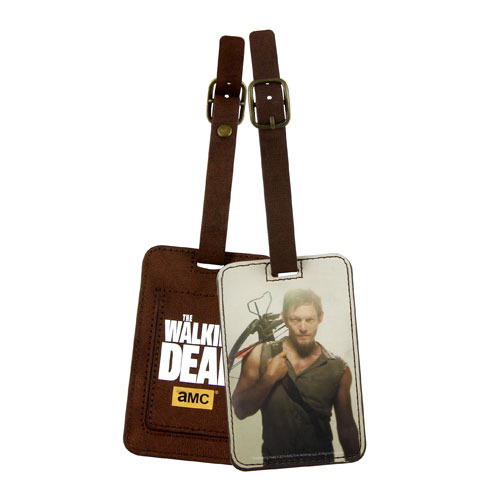 Featuring Daryl with his signature crossbow slung over his shoulder, this luggage tag will add some nice personality to your suitcase! Ages 14 and up.